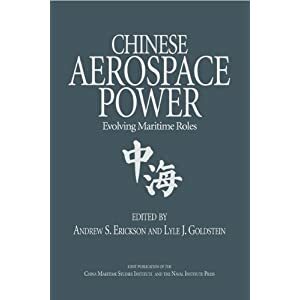 Dave Mugridge, review of Andrew S. Erickson, Lyle J. Goldstein, and Carnes Lord, eds., China Goes to Sea: Maritime Transformation in Comparative Historical Perspective (Annapolis, MD: Naval Institute Press, July 2009) in Canadian Naval Review, 7.2 (Summer 2011): 42-43. 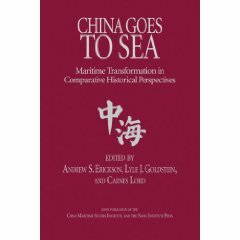 This book is a wonderful academic review not just of China’s maritime power but of the history of sea command. 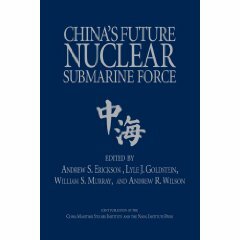 The editors do a remarkable job of building a comprehensive picture of where China stands today in its pursuit of maritime capability to match its economic ascendency and continental military power. China Goes to Sea does not provide all the answers, but it does introduce with clarity and objectiveness the complex issues that have dominated China’s maritime development. 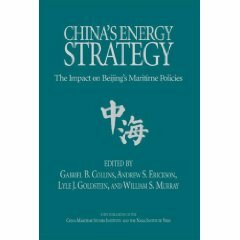 In answering why China needs a maritime power projection capability, this book clearly illustrates the links among economics, national security, and strategic ambition. All too often the naval lobby forgets to link these factors. Perhaps this lesson should be allowed to reverberate around Western corridors of power, next time the naval lobby comes second in the debate over the division of meager defence resources. Here the editors make clear that sea power is a medium for trade and national security, not a means in itself. The introduction poses a list of 10 key questions. These questions are so pertinent they should be given to those charged with generating maritime strategy. These 10 simple questions illuminate the issue of strategy generation with clarity and vision. I would commend them to any student or serving officer when looking for a justification of the importance of maritime strategy within the realm of national security.